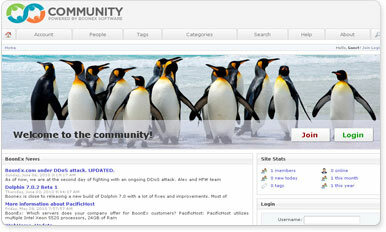 Dolphin is the world's most advanced community software. Open-source, independent, downloadable, scalable, customizable, full-featured, free software for building social networks, dating sites and web-communities. Loaded with video chat, recorder, video player, forums, groups, events, video messenger, mailbox, desktop app, video sharing, photo sharing, iPhone app and much more. Build your own business or advance your hobby with Dolphin!